Co-operators and community groups celebrate Co-operative Fortnight at City Works in Gloucester with bright green pie slices – the symbol of this year's theme of Yours to Share. Co-operative Futures' executive director Jo White and MP Richard Graham are pictured centre. 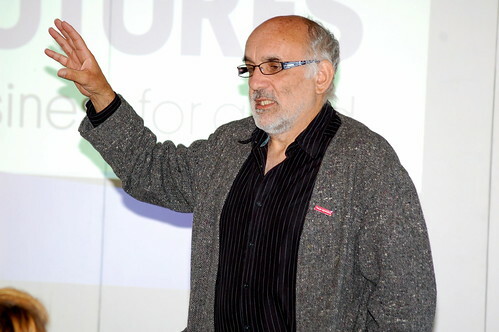 operative Futures event to promote and celebrate Co-operatives Fortnight last week. The Conservative MP said he was “a huge fan of the co-operative movement,” noting that the business model had “a massive amount to offer” to society. operatives Futures, “so we decided to share lunch with the other organisations who share City Works. operative enterprises in East Africa. Later, he was working for the Barings Asset Management, which was sunk in 1995 by rogue trader Nick Leeson. The family-owned bank was then bought by a Dutch company listed on the stock market, which the MP described as an “uncomfortable experience”. operative financier, and so run – he said – “with a more caring approach”. The current financial crisis, said Mr Graham, had led to a “dislocation” between the general public and some shareholder-owned companies, including banks and utility companies. operative that will make a difference in their community – Gloucestershire Credit Union,” he said. Mr Graham was also keen to highlight the discussions between Co-operatives UK – the national trade association for the UK’s 6,000 co-operative businesses – and the government, which may very well lead to a co-operative future for the Post Office. operative Energy and Co-operative Childcare. Co-operative Energy is a new energy supplier owned by its customers – rather than speculative profit-seeking shareholders – which promises fair and transparent tariffs and a commitment to environmentally-friendly energy production. 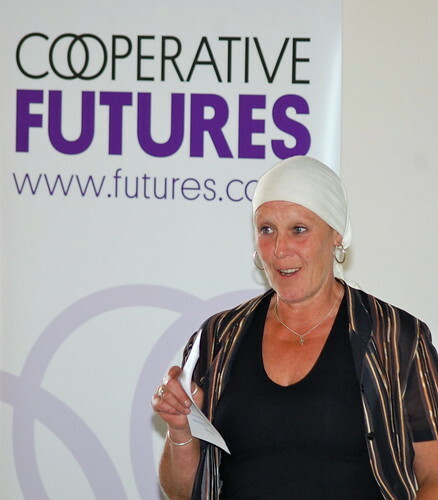 The meeting heard from several co-operatives that Co-operative Futures had helped to set up. 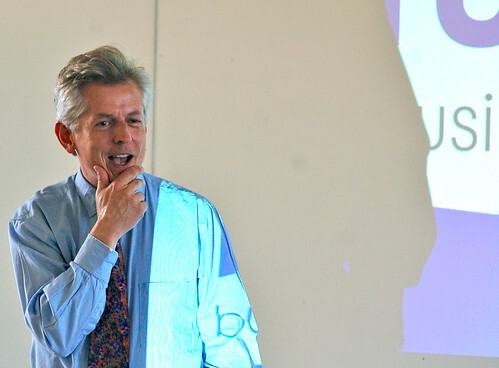 Dave Stork spoke on behalf of the Service User Support Team (SUST), which recently set up as a workers’co-operative. SUST helps many of Gloucester and Cheltenham’s 1,800 heroin and crack users to design their own treatment plans through medication, detox or rehabilitation, which helps users to beat their addictions and rejoin society. 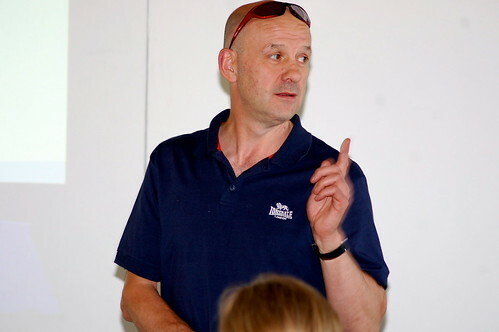 Kevin Frea of the Solar Co-op talked about the plans to create a solar power plant on the roof of City Works – where Co-operative Futures and many other community enterprises are based. Amanda Godber, from Stroud-based Down to Earth talked about her co-operative, which plants and maintains organic vegetable patches in the gardens of homeowners who like the idea of home-grown organic veg, but don’t have the time or skills to do the work themselves. Recently, she said, two new schemes had sprouted from the original idea. Growing Communities is a Stroud Strategic Partnership-backed project which trains individuals in organic vegetable growing. And the Fruit and Nut Tree Guardianship Scheme, supported by the Cotswold Conservation Board, offers free or subsidised tree surgery or maintenance to owners in return for a share of the crop, which is then turned into produce for sale to the public. 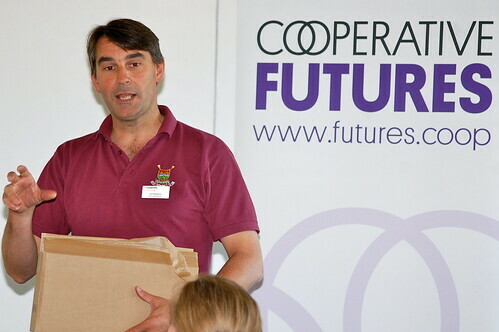 Jim Pettipher, deputy director of Co-operative Futures, said the co-operative model was highly adaptable and suitable to a wide range of businesses and community groups. “When people come to me and ask ‘can I set that up as a co-operative?’ the answer is usually yes! “People are often amazed at how flexible the co-operative business model is. Co-operatives in the UK span a movement from The Co-operative with its £14 billion annual turnover and 6,000,000 members to Marlborough News Online, which is a worker co-op with four staff. For more information about starting or growing a co-operative or community-owned enterprise, see www.futures.coop or call 01452 543030.